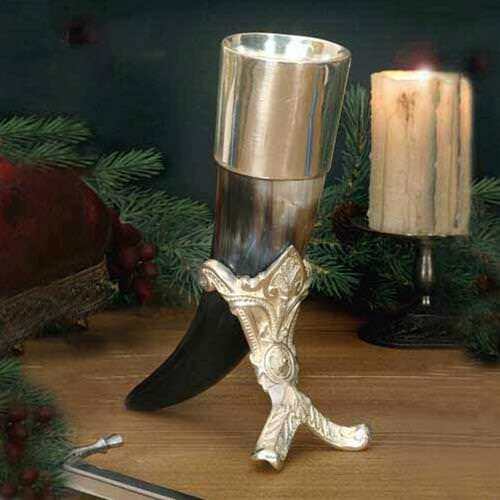 This is the ultimate in Norse feast ware; a drinking horn made of real antler! 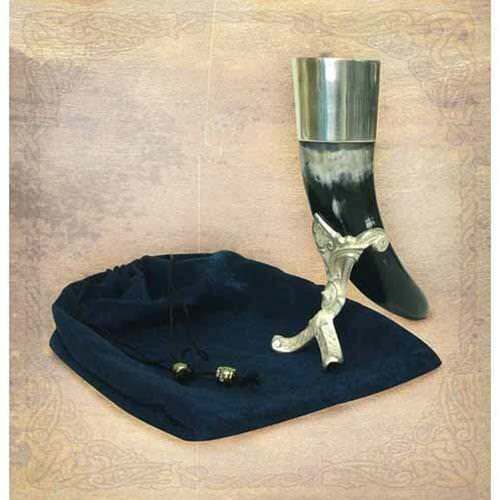 This impressive drinking horn is made by the expert metalsmiths at Windlass Steelcrafts using fine, nickel free pewter and plated in real silver. 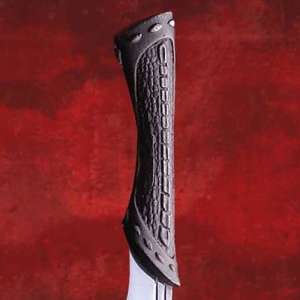 It will hold a modest amount of any of your favorite beverages in Medieval style. 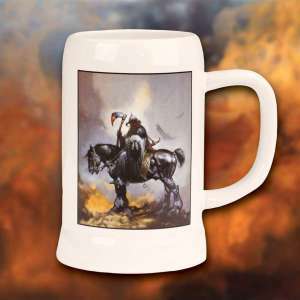 This stately vessel is perfect for any Viking fanatic and makes the perfect accent piece to your historical themed décor. 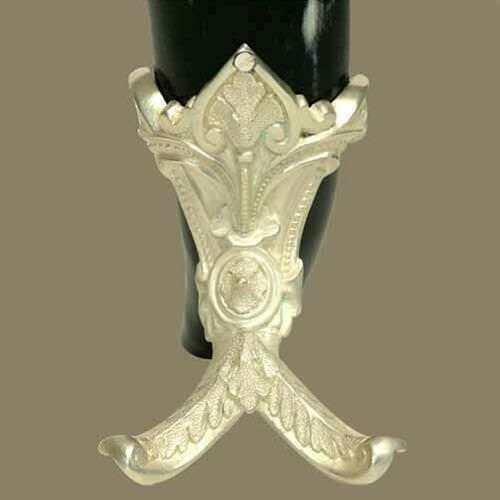 The ingenious horn vessel is permanently mounted to a beautiful carved pewter stand plated in silver, which keeps the horn upright for display or refills. Slight imperfections in the horn are characteristic of genuine horn. Nothing says Viking more than horns!